Astória restaurant is located in the emblematic and historic Palácio das Cardosas, in the heart of the city of Porto. The heritage of the Palace is reflected in the noble features and refined aesthetics, complemented by a modern and comfortable decoration, which invites you to enter. Generous windows to the exterior open the Astoria to the city, sharing all its charm, culture and liveliness. To welcome the good weather, Astória inaugurated the outer space and designed a special menu for the terrace. With an All Day Dining concept – from 10:30 a.m. to 11:00 p.m. – and overlooking the imposing Praça da Liberdade, the restaurant has meal options (or snacks) at any time of the day. To the vivacity of city center heart joins a new combinations variety to taste at Astória. 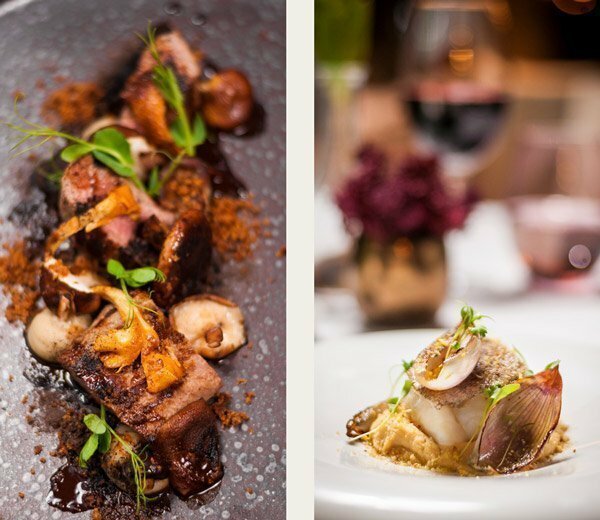 The new menu is inspired by modern Portuguese cuisine and has the signature of Chef Paulo Leite, the new kitchen maestro of Astória in InterContinental Porto – Palácio das Cardosas restaurant, after having passed through renowned places. The Chef worked at the renowned Eleven Rio, where he leads the kitchen until his return to Portugal and where he received a star in Rio de Janeiro & São Paulo Michelin guide in the 2016 and 2017 editions. During the next few pages you will find various combinations of flavors that you will not be able to resist. We challenge you to try the new suggestions of Astória, a reference in the city of Porto.